To a certain degree the modern phenomenon of Spring Break really owes its existence to “The Great Miami Hurricane of 1926” which inundated that city with a 15 foot storm surge wiping out most of the city’s structures and causing approximately $100 million dollars in damage. During the rebuilding phase the city of Fort Lauderdale built the first Olympic size municipal pool in Florida in 1928. Their timing could not have been any better. Swimming as a competitive sport was just beginning to become popular but enclosed pools were still a rarity in the north. Looking for an edge, the swimming coach at Colgate University in Hamilton, New York, brought some of his swim team down to Fort Lauderdale to give it a try. Word spread and by 1938 the College Coaches’ Swim Forum was formed and college swim teams from around the country made an annual trip to Fort Lauderdale each spring. By the spring of 1953, upwards of 15,000 students made their way to the city. But the idea of celebrating the arrival of Spring is not unique to the 20th century. In the times of Greek mythology, Dionysus, the Greek god of wine and cheer, showed mortals how to cultivate grapevines and make wine. According to tradition, Dionysus dies each winter and is reborn in the spring. His rebirth signals renewal of the fruits of the earth. 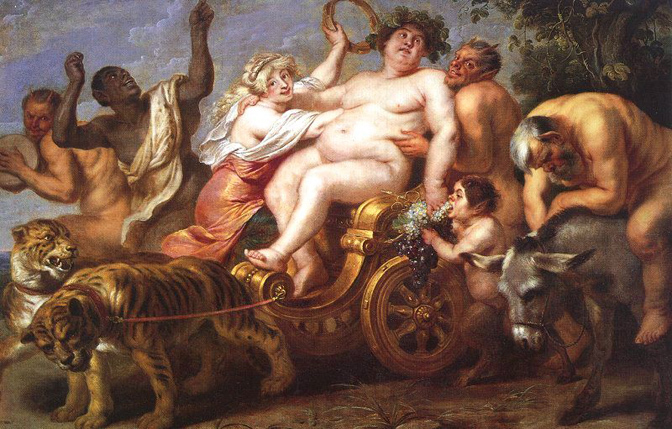 Dionysus also fathered a son named Priapus. Personified by his famous appendage, Priapus was the Greek god of fertility. So it went in hand, as it were, that the presence of Priapus at the orgies was a welcome sight to all. As for Dionysus himself, he became known to the Romans as Bacchus, a name referring to the loud cries of the devotees as they worshipped him during the raucous orgies held in his honor. These celebrations became so outrageous they were outlawed by the Roman Senate in 186 BC. If he were still around I’m sure the god of debauchery would smile his blessings upon the hordes of hedonists about to descend upon our Island. 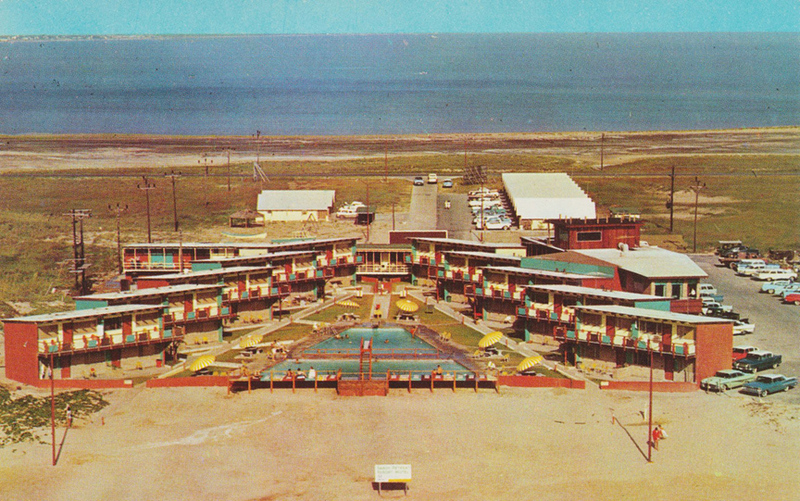 Beer bongs, wet t-shirt contests and cruising the boulevard; South Padre Island owes its humble Spring Break origins to a small group of Rio Grande Valley natives. “A group of Valley kids began coming to the Island for Easter vacation in the mid 1960s,” recalled Kay Lay. One year, a local band set up their equipment in the parking lot which drew a small crowd. Soon the crowd included college kids who were home for Easter vacation, some of whom had brought other friends home with them for the school break. Easter break slowly evolved into Spring Break and kept growing from then on. Before long the big beer companies began to participate with events designed for the youth. 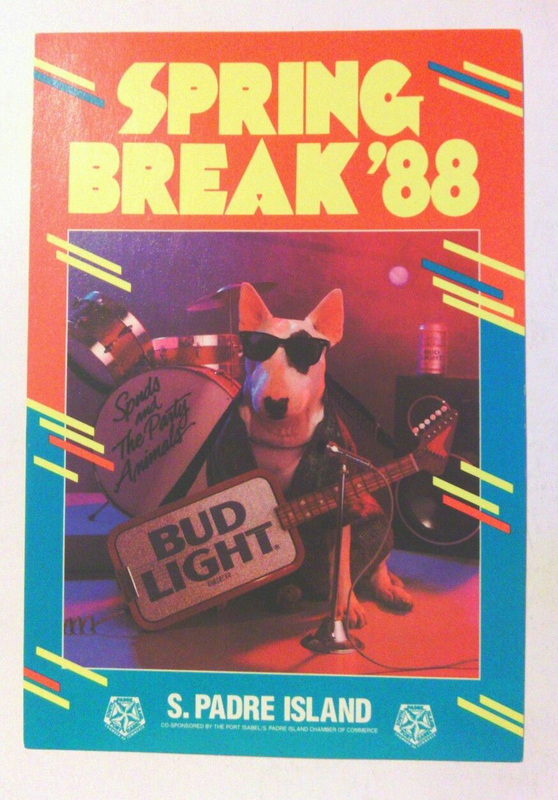 One year Budweiser brought down Jan and Dean and another year Miller brought down Stevie Ray Vaughn. This trend continued with other corporate entities coming aboard with give-a-ways and special events of their own. Today Spring Break begins the last week in February and lasts through the month of March — six weeks of madness for those of us who call the Island home.